How to add pages to the flip book? I want to add some pages with pictures to the flip book, which software can help me with this? 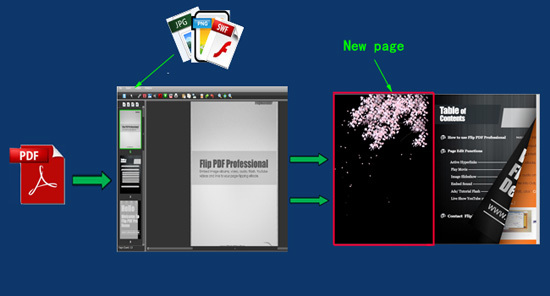 You can use A-PDF to Flipbook Pro (free download here). This program provides "Edit Pages"
function that enables users to add new pages (*.jpg, *.png and *.swf) to the flip book. 5. Output the flip book in selected format.